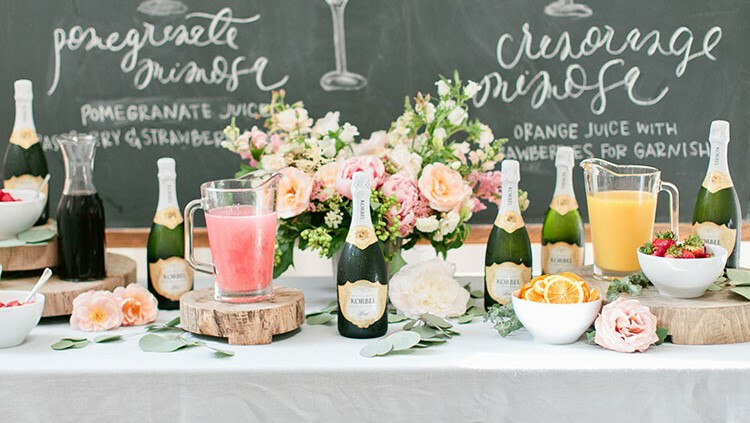 Newest trend for your wedding this season, the Brunch. What all you can expect at a wedding brunch and what makes it a better option than the conventional get-togethers. Brunch weddings have become quite popular lately. There are like n-number of reasons for the increasing popularity of Brunches at a wedding. Yielding truth is, people love brunch as much as they love weddings. So, it’s okay for couples to move towards combining the two to create an ultimate D-day. 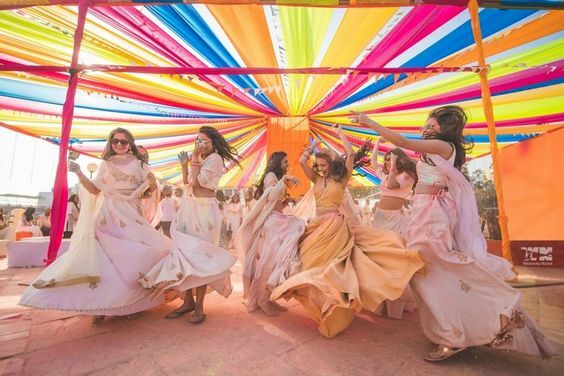 The Bollywood wedding vibes are yet another big reason for having brunch at the wedding. Be it Sonam Kapoor-Anand Ahuja, Anushka Sharma-Virat Kohli, Deepika Padukone-Ranveer Singh, Priyanka Chopra-Nick Jonas or any Hollywood celeb wedding, the limelight has always been the location and events they organized for their guests and also undoubtedly the Bride & Groom’s – Wedding dress. To be précised ‘Brunch’ has been the part of all these celeb wedding functions. No matter what the reason is you will get in favour of brunch wedding too, considering the pointers before you actually commit on throwing an A.M affair because it’s also going hit your pocket light. Timing is Everything. A typical brunch will not start any time before 11 a.m. and Indian weddings have an adjective ‘Delay’ attached to it. Because there is just too much to think of and too much to handle in some fraction of minutes. When it comes to Afternoon decor, simpler it is classier it gets. Daylight, flowers, music is all that needs to be portrayed correctly to match the symphony of delightful wedding event like Mehendi, Sangeet etc. Fact: Keeping it in open with just correct decor will make life simple and budget simple. The brunch menu will have endless options. Go for a Buffet of brunch food filled to the brim with savoury dishes and let your guest go crazy deciding what to eat and what not to. Pull in some amazing desserts for those sweet tooth guests who would just go speechless and forget about complaining or questioning your idea of brunch wedding. To embrace the livelihood of the entire wedding event let the catering bring in amazing fun filled festive cocktails/mock-tails, choosing your bar service wisely to keep the function going in check. Fact: People are less likely to tie on to drinks on during a day event, so you save again as your guests wouldn’t imbibe as much drink as they would at an evening affair. You eventually get more time to celebrate the new beginning with all your close ones, dancing around to the music, conducting ceremonies and rituals, majorly clicking picture because a wedding is all about getting all dolled up and showing off the best style. Functions like Sangeet, just fill in the moods and creates a lively environment for all to enjoy. An outdoor daytime wedding photo gives you access to gorgeous natural light which just idealizes the whole feel of wedding photos. Having these perfect lighting conditions help to ensure that the wedding photos/video turn out beautiful to be cherished for a lifetime. So, what do you say? 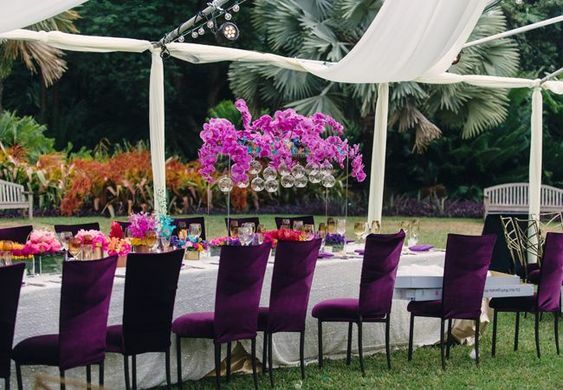 Is a brunching wedding for you, or are you still leaning towards an evening affair?